Rockway has the best location I can imagine. 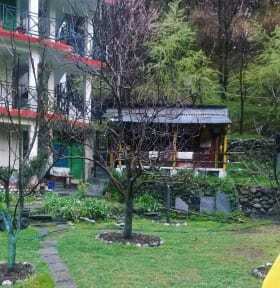 It's a bit away from old manali, alone between mountains, a small river and trees, but still not far to walk into the village. We loved it there. It's perfect for relaxing and enjoying the mountains. Also the hostel itself and the staff are very nice and welcoming! A really nice location, since it is on a nice track with river view. 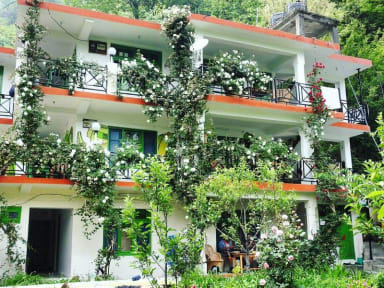 unfortunately, the rooms are not that clean and compared price - quality there are better options in old Manali.